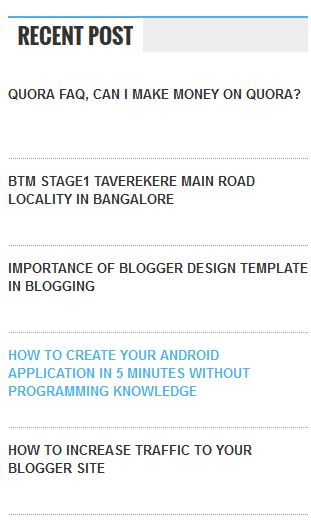 Blogger template is the part of HTML code which is used to organize your content. 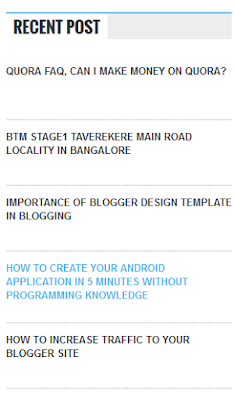 You can drive more traffic to your website using responsive blogger template. You can find a number of a free blogging template available on different site. You can see the demo and help file to install the template as well. It is very much required to organize your content well, so once visitor will come to your site, they will get the all required & relative information on the same page. 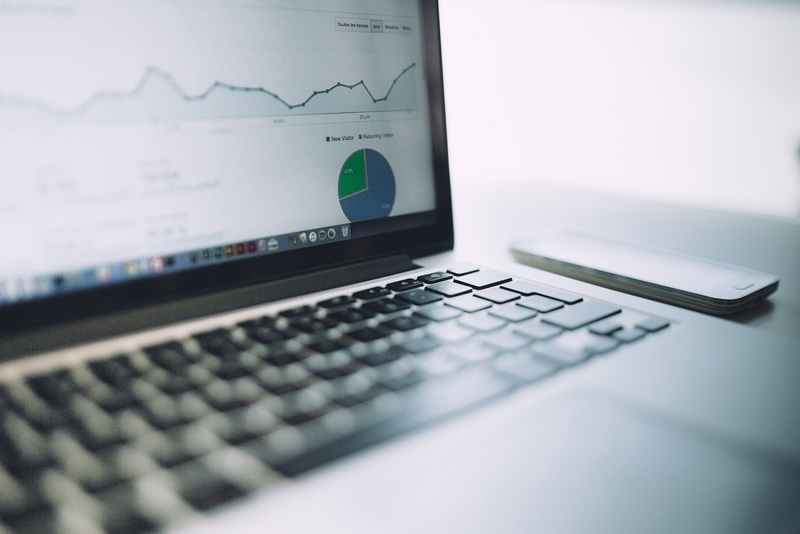 Relative information plays the major role to drive the traffic. That is the reason to write on the same topic for the same blogger. Writing on the different topic can lose the user attention from the site as the only single article is available on the site. Blogging is all about: "Quality Content & Organizing your Content". Do you need HTML programming knowledge? No to this. But it is good to have basic knowledge. If you need how to add the comment in the code is sufficient enough. Most of the widget and part of the template is readily available on the internet. You need minor modification to it. An example of different widget and functionality is given in below paragraphs. You can try to follow the following practice to organize your content to drive increased traffic & gain more Adsense revenue. It is suggested to use the 720x90 ads on top. You can use 250x250 or any other size on top based on an available size on the size bar. It is allowed to use AdSense with infolinks, Chitika ads. Thumb-nail plays the very interesting role in look and feel of the site. The user will be always much more happy to see the image rather than reading the content of it. So if make interesting thumbnail for your article the definite change of clicking your thumbnail is high. Overall your site design looks very decent by using creative thumbnail for your post. Use of relative post images as much as possible in your post. Try to use the images in all the post. It will help you if you share your post on a social sharing site. Images will catch the eye for a reader to read more about it. Always try to create images which show the deep sense of your content. Run & use Affiliation program on your site. You can submit your site to run and put the affiliation link on your site to earn commission on the product. Different affiliation programs available for Flipkart, amazon, snapdeal and many more. If you are writing on product review or guidance then it will be best for you as a user will be interested in buying the product. The chances of clicking on the ad will much higher if it is truly relative to the site content. Put Ads in between the post body. It is allowed to put the relative ads or affiliation link in between the body of your post. It will very much helpful to you to earn commission from affiliation program. 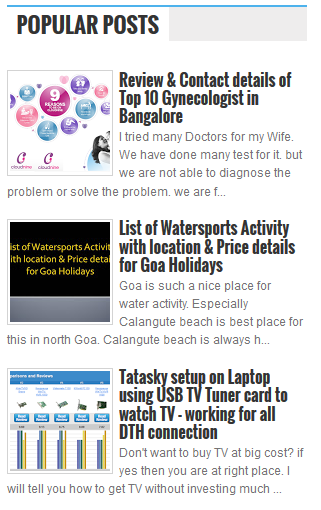 Popular Post widget at the different location on the site. Your popular post will give you the huge part of your earning. These posts are the master key for you to highlight at many places. The Decent search box on top of the site. Once a user gets the required information from your site. They will try to search for the other information on your site. The user will don't want to search in google again to get the information. They will gain the confident in your site if they will get the all the information collectively from you. Next time also, it will be comfortable from them to select your site in a search result as they are familiar with your site name. They trust your content & frequently visit your site. They might bookmark your site for further information. Logo for your site with a relative name for the site. Branding yourself is important. It builds trust on you. Highly required and recommended to drive more traffic. Create custom widget to share author information. Provide your information to give brief about yourself. Explore your expertise in short writing. Hello Bar use on the top of your site. Hello bar is widget which you can put on top, side or another part on your site. This widget is quite successfully in driving clicks, get emails, and social site likes. Floating social sharing buttons for your site. Try to provide the eye catching widget for sharing your post. Make it easy to share your content on different social sites. Alexa ranking widget for your site. Show your Alexa site rank if it is impressive. Changing a background image for your site. You can change the background image of your site with your own image or any other image from URL. Use a label for each post of your site. Label your each post with the proper label to classify the different category of topics written on your site. Use label widget to show different category available on your site. 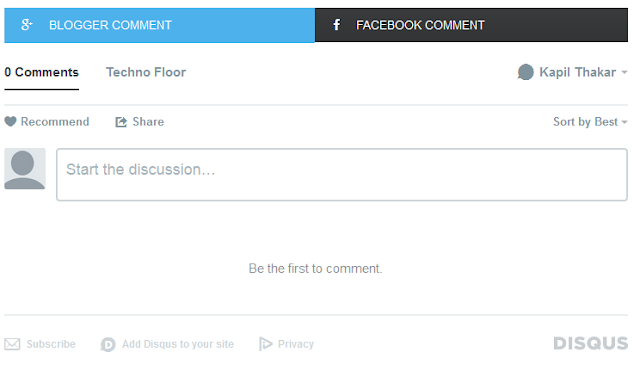 Integration of different commenting system for your site. Comment is best to interact with your customers and share the feedback. You can always welcome new suggestion for your content. Which will be helpful to you to grow & to correct your mistakes? Disqus and commentluv are example for it. Google Page Rank widget for your site. Check your google Page Rank for the site. If it is good enough to show on your site. Quora FAQ, Can I Make Money on Quora?